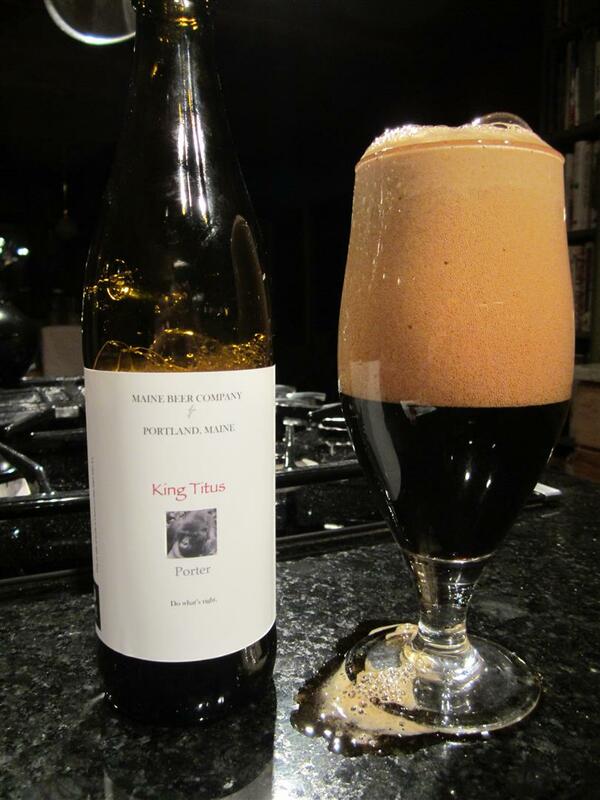 [Nov. 16, 2012]–The first Peeper Ale from the Maine Beer Company rolled out of the brewery in the summer of 2009. If brothers David and Daniel Kleban were pacing nervously waiting for the reviews of their opening production to roll in, they must have been as relieved as pleased to find out they had a hit on their hands. Peeper Ale, a 5.5% ABV golden ale was the sole offering from the Portland brewery until the new year, when Zoe debuted, a 7.2% amber ale named after David’s daughter. 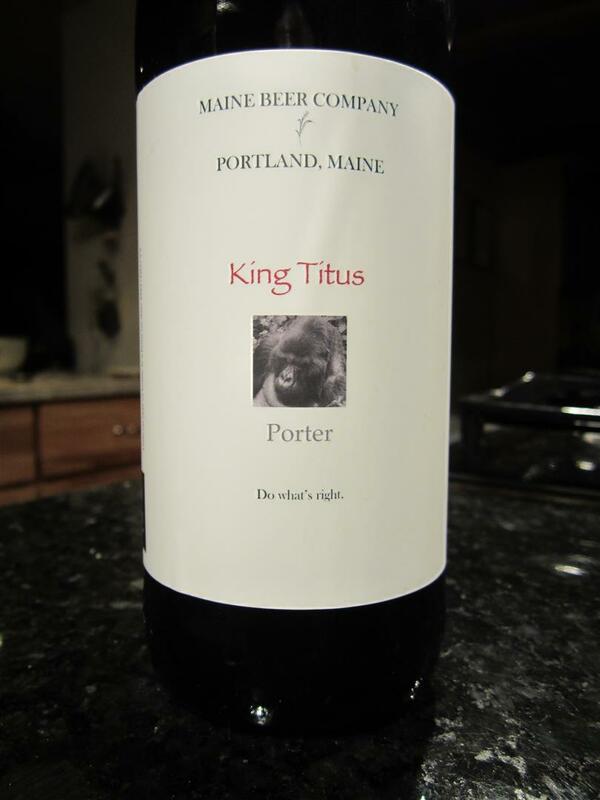 At the beginning of last month King Titus Porter arrived, now giving the company six regular beers. The others are Mo, an American Pale Ale (6%); Lunch, a west coast-style IPA (7%), and one of my favorites, Mean Old Tom, a stout (6%). And the brewery has a big move on its hands. Currently producing about 3,000 barrels a year in an industrial area about a football field’s length away from the pioneering D.L. Geary Brewing Company, Maine Beer is heading toward L.L. Bean country in the spring, south of U.S. 1 in Freeport. Which suggests things are going well. “It’s working out great, better than we expected,” said David, 41, who is credited with talking his younger brother Daniel, 35, into switching careers from the law to brewing. “Daniel’s in charge of making good beer and I’m in charge of selling good beer,” David said, and the reception so far suggests both are doing just that. 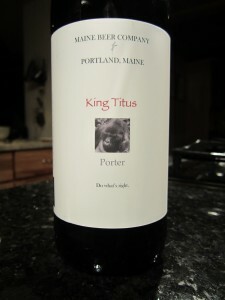 It’s a chest beater, so the beer is aptly named after a gorilla, not something you run across every day. 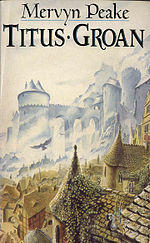 It was the late Dian Fossey and Kelly Stewart who first saw the newborn silverback gorilla in Rwanda in 1974, and Stewart (daughter of film actor Jimmy) who named him after a book she was reading, Titus Groan, the first in a fantasy trilogy by Mervyn Peake. Titus was tracked throughout much of his life and was the subject of a PBS Nature documentary, “The Gorilla King,” that aired a year before his death in 2009 at the ripe old gorilla age of 35. “Do what’s right” it says on the bottom of every understated Maine Brewing Company bottle label. And as long as we’re in the Thanksgiving season of gratitude, it’s nice to know that from the start MBC has subscribed to the notion of 1% for the Planet to give one percent of sales to environmental groups around the world. 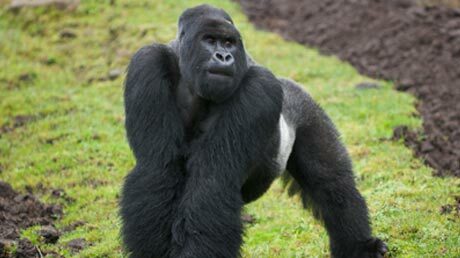 In the case of King Titus Porter, the monies will go toward the Dian Fossey Gorilla Fund. In some sweet timing, the organization had its annual luncheon in New York City last month, and David Kleban was there, with some fresh bottles of King Titus to pass around. Availability: Seven states (ME, VT, MA, NH, NJ, VA, MD) as well as NYC, Philadelphia and Washington, D.C.